Twenty C# Questions Explained: (18) How do I remove duplicates from an array? Play Twenty C# Questions Explained: (18) How do I remove duplicates from an array? 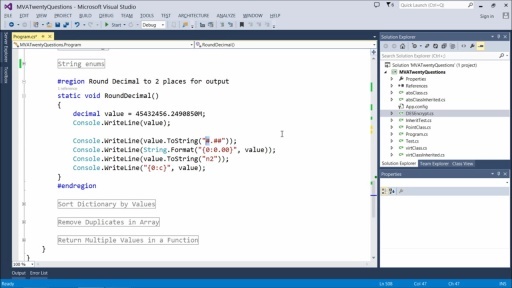 Demonstrate using LINQ and using a list. 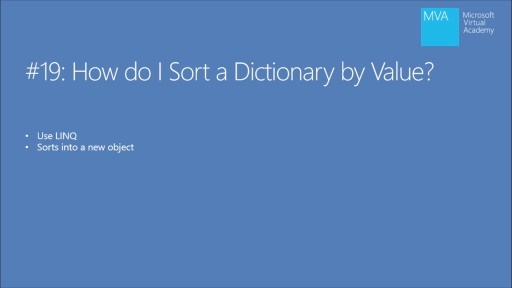 Twenty C# Questions Explained: (19) How do I sort a dictionary by value?